Surrounded with insecurity and uncertainty, the Bulgarian Evangelical believer finds great hope and comfort in the fact that God holds the future in His hands. Christianity is a reality that is certain. While having lived in a culture of oppression and persecution, the Bulgarian Evangelical believer now can trade a downtrodden spirit for one of triumph. The once atmosphere of turmoil is being transformed to one of liberation in the Spirit where chains of slavery are traded for a crown of joyous freedom. Living in the 21st century in a context of post communist and postmodern transformations, Bulgarian Evangelical believers must remain true to their historical heritage and preserve their identity in order to keep their faith alive. This unique testimony must be passed on to future Bulgarian generations by telling the story of the true Pentecostal experience. Time and time again in the past several years, while ministering in churches across the United States, friends and partners ask us about our opinion on the political situation at home and around the world. Many of them ask the direct question of America becoming more and more socialist-like. Our response is that while people have the right to own a business, there cannot be communism, but this barely scratches the surface. “Looking over the Wall” answers this and many other important questions about the current global reality from a very distinct Pentecostal and the same time post communist point of view. Yet, the text does it in a way, which can actually relate to popular American culture and current economic reality. The book provides Christian answers as of what defines our identity and makes us human – a right communism strips from the persona, the family and the church without much regard of the consequences that follow. But this drastic dehumanization has an almost irreversible effect on the human psyche – a slavery mentality that penetrates the very heart of men and women and leaves forever its mark of fear, depression and insecurity. The book traces how Pentecostalism as faith and ideology has the power to deliver post communist communities from the grasp of oppressive governments and transform them into a socially relevant culture changing force. At the same time, it remains a warning to theologians who dare to flirt with Marxist idealism being fulfilled in the context of the New Testament ecclesia. And rightfully so! From an environment of uncertainty and hopelessness, the Bulgarian Evangelical believer turns to the continuity of faith in the Almighty Redeemer. Pentecostalism as practical Christianity gives a sense of internal motivation to the discouraged. In a society that is limited in conduciveness for progression of thought or self actualization, one finds refuge in the promises of Christianity. It becomes a certainty which can be relied upon. Historically, having undergone severe persecution, the Bulgarian Evangelical believer is one who possesses great devotion to his or her belief. Having to defend the faith fosters a deep sense of appreciation and in an impoverished country, faith becomes all some have. Christ becomes the only one to whom to turn for provision. In the midst of this complete dependence is where miracles occur. Furthermore, it is in the midst of miracles where the skepticism which is prominent in post communist Bulgaria is broken. When those who believe are healed from cancer and even raised from the dead, there is no room for disbelief or low self-esteem. This book is the result of over a decade of research and personal experiences of living in Bulgaria for the past seven years. 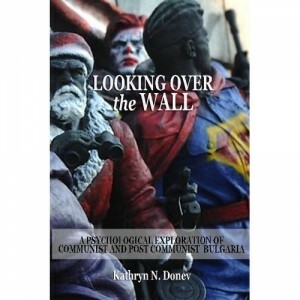 It embodies documents, articles, personal interviews and essays dealing with psychological explorations of communist and post communist Bulgaria. Along with a historical overview of Bulgaria, the author presents the development of psychotherapy throughout the country and addresses future concerns for the state of counseling within a post communist context. Furthermore, the author examines the Pentecostal experience of the Bulgarian evangelical believer drawing on a paper presented at the 36th annual Society of Pentecostal Studies Conference. As well included is original research which develops a theoretical account of the sequences of internal motivation in addition to student survey results regarding counseling practices from the first Master’s in Chaplaincy Ministry Program in Europe at the Bulgarian Evangelical Theological Institute.